Custom Bridal Bridesmaid Wedding Jewelry in Swarovski Pearls. The perfect wedding accessory appropriate for brides members of the bridal party & guests. 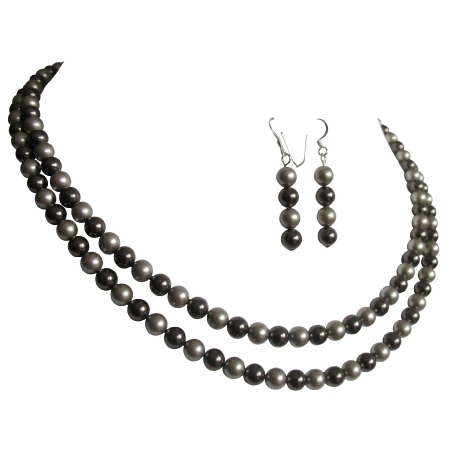 Handmade Exquisite Double Stranded Necklace with Chocolate Brown & Platinum Champagne Pearls with Dangling Pearls Earrings this jewelry set is great for Mother of Groom or Mother of Bride.